I really like this quote and use it as motivation for my activities. This is also a radical statement, a capitalistic society is based on money, the so-called capital. It is what drives the world. But according to Steve Jobs money is not important. Although he lived and grew up in the most capitalistic country in the world, he was not a capitalist, he was from another race – a creator, an entrepreneur. Apple I – The first computer of Apple Inc.
OK, enough said, I just wanted to drop some notes about the following movie… It’s about how Steve Jobs started, the early history of Apple and its founders. 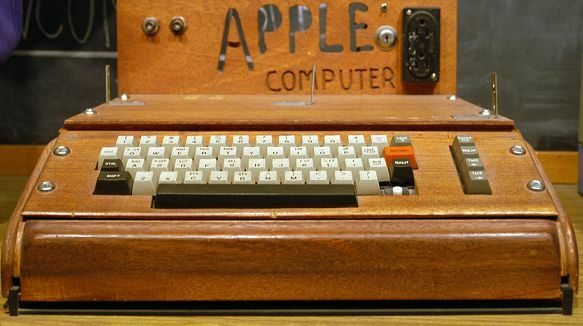 How the first computer – Apple 1 – was developed. About the story of two young hippies, who started one of the most powerful companies on Earth from a small garage in Palo Alto, California. If you enjoyed this movie, consider watching Steve Jobs famous speech at Stanford University. You can find it exactly HERE. It’s a life-changing clip and I recommend you take the time watching it. Also, don’t miss checking the related posts from below.